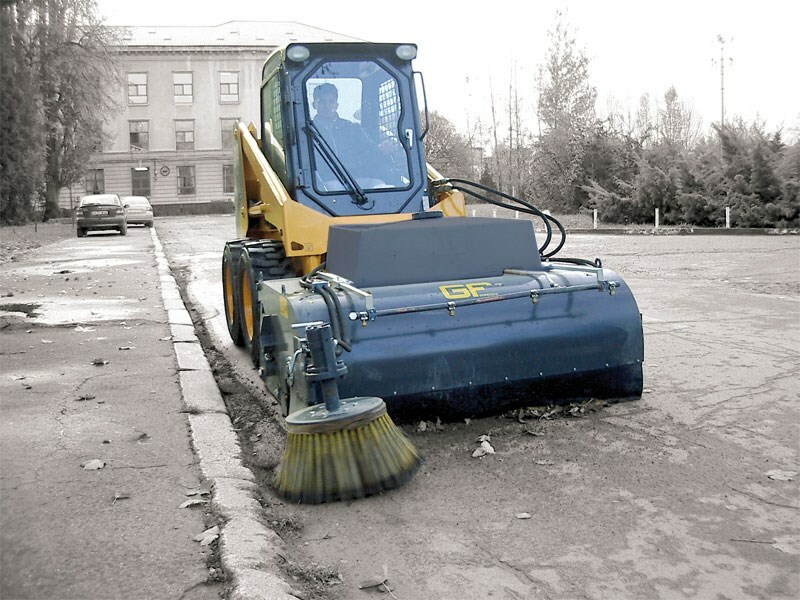 Sweeper with polypropylene brushes to sweep and collect dust at job sites and to scrape mud with the bucket scrap blade. 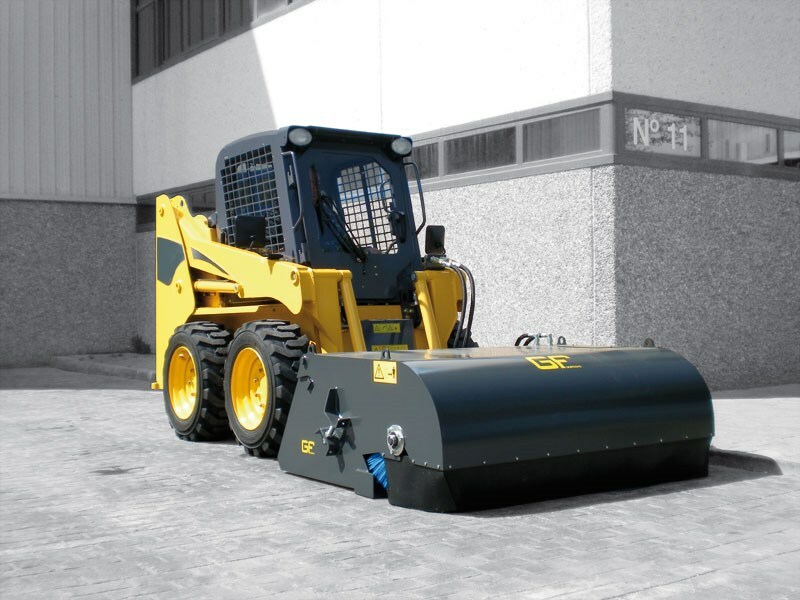 Collection bucket with anti wear bolted and reversible blade (welded for mod. SP 110). Front and side shields with rubber bands. 4 steel wheels under the collection bucket avoid wear of its bottom coil (mod. SWH). Hydraulic motor direct drive on broom shaft (chain and pinion for mod. SP 110). Sign in to receive our latest news.